Check out Color Part II here. When we first moved into our current house, the colors were really making me depressed. One, because I didn’t pick them and two, they were all wrong for the function and moods of the rooms. My front room went from green, dark brown and red to gray with yellow decor. It was a much needed boost for my soul. I am really excited about this course because color is a very powerful tool in decorating. Colors elicit feelings and if you use color well, it can really improve your home and your well-being. 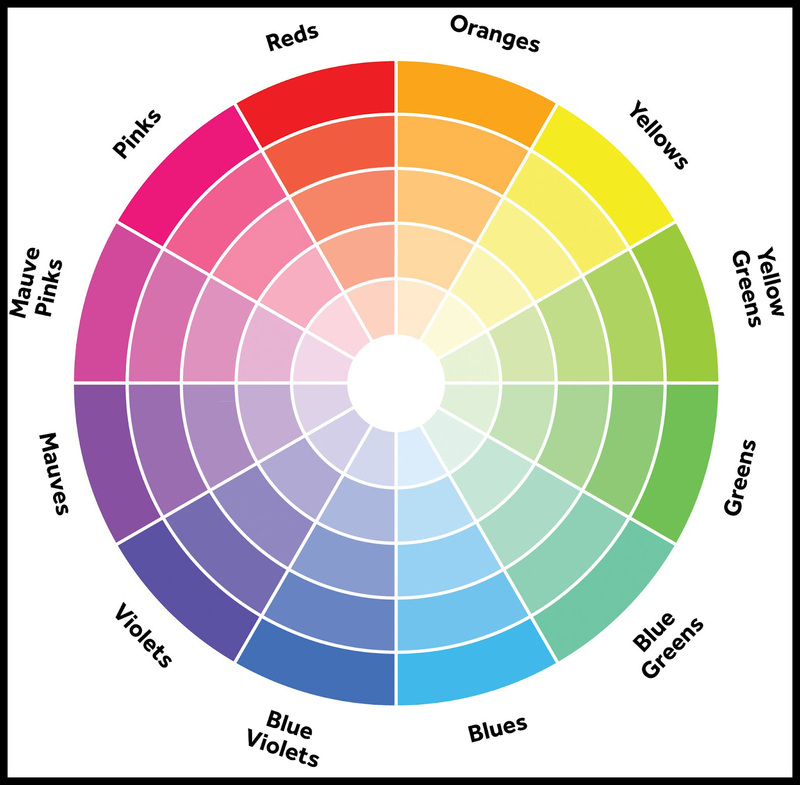 Most of you want to know more about color because you need to pick paint colors, choose the color of furniture or decide on a whole color scheme for a room or house. 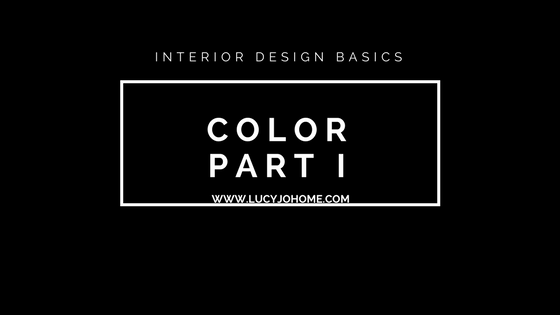 I will first give you a basic look at color and then we will break it down and apply to the projects that you might want to work on. To make a good decision you need to understand the color wheel and there are tools like ColorSchemer and Palleton that can be super helpful. Want to learn more about color, style and design? 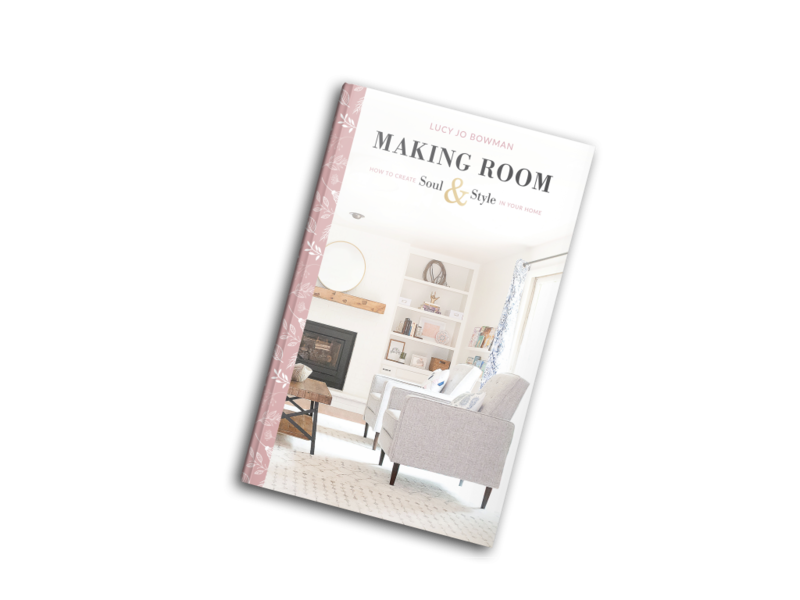 Get my book here with detailed information about how to create a home full of soul and style! *Tertiary colors are made by mixing a fully saturated primary color with half saturation of another primary color and no third primary color mixed in. Using more than three colors in a room can create a busy and chaotic feeling, but there are examples of rooms that have broken this rule and got away with it. Most of the time, these cases are people who are breaking the rule on purpose though. Start simply and then you can break rules later. Which colors look good together? Take a look at the second column of small circles on Color Wheel One. The top is analogous; it is a group of colors that work well together, usually tied to a primary color. In the case above, the main color is red. The three colors to the side red will look nice with the main color. Another example would be blue and the three colors to the right (blue-violet, violet and red-violet). This is a way to get the primary, secondary and tertiary colors. The next color combination that works well is complementary. These colors are across from each other on the color wheel. 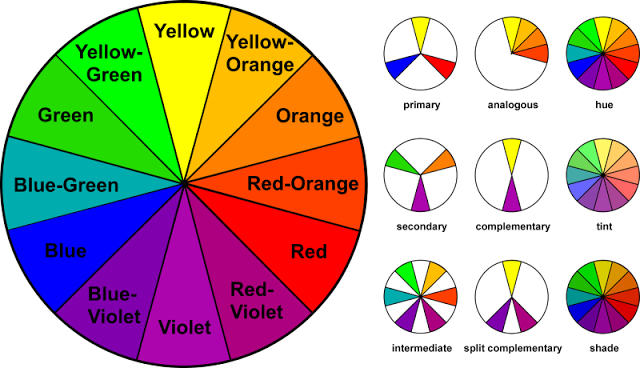 As you can see above, violet and yellow are complementary colors. Choose any color on the wheel and look straight across and you will find a workable color combo. Split complementary, which is a primary color and two colors that are next to the complementary color, create a triangle. See the explanation below with the image example similar to the one above. There are two more types (triad, rectangle and square) that are below. >>Go to this link to see a helpful image of the different types of color combinations. It can be helpful to remember that you will decorate with a main color (60%), a secondary color (30%) and an accent color (10%). When you use more than three colors you are running the risk of creating busy and chaotic spaces. Now, keep reading on to Course 4B where you will learn about color psychology and get some application assignments! Check out Color Part II here to see examples of colors and their impact on you. LEARN MORE ABOUT MY BOOK!